The final item of interest to pastors is a new “bonus” feature: the online/electronic version of the NA28. Whereas the new edition somewhat simplifies the apparatus, in particular by removing strings of irrelevant manuscript numbers, the online edition will be comprehensive. Variants not noted in the NA28 apparatus will be available in electronic editions, and in many cases full transcriptions of the manuscripts will be available so that the readings of a given manuscript over a block of text can be easily read. Indeed, the day may soon come when bringing a tablet to class or the study will replace the little blue book that so easily carries about. Over the next few weeks I will be providing more thorough discussions of the changes and features of the new edition on this site. The official website of the Nestle-Aland text is now live, and the digital Nestle-Aland will soon be available here. Other features of the new edition, such as simplifying the apparatus, removing Latin (unfortunately), appendices, and so on, might be welcome and make the edition slightly more user friendly. However, they will likely not persuade a pastor to purchase the new edition. Since the Catholic Epistles are not often then basis of sermons and Bible studies, some pastors may wish to forego purchasing this edition, waiting for the updated texts of John and Acts. But consultation of the electronic edition (when it becomes available) will be a necessary task. Editor’s Note: This piece first appeared on the blog of the journal Logia. Thanks for the post. Do you have any sense about how the Arian controversy (or any other theological conflict) may have affected manuscript traditions? You may want to read Bart Ehrman’s “Orthodox Corruption of Scripture” if you haven’t already. It’s a starting point on this type of discussion. I’m looking forward to Dr. Kloha’s further articles on the NA28. I am not sure I can part with my trusty NA used throughout college, seminary, etc. recovered, et. Glad to hear of the online options. The “Nestle-Aland” text is the one most frequently used by students, pastors and scholars. It provides a large amount of data in the footnotes indicating minor textual differences, called “variants” that exist between the various copies of the original documents of the NT, known as the “autographs” — none of which we have, of course. Some would use this reality to propose that somehow we have an uncertain, unreliable or shaky knowledge of what the New Testament actually contains. Not true at all. Anytime you hear anyone using the matter of textual variants to dispute or try to refute the doctrine of inspiration or inerrancy you need to know you are dealing either with a person who has no real awareness of what he speaking about, or, as is sadly more often the case, a flat-out liar trying to deceive you. Keep in mind that there is not an iota (see what I did there?) of Christian doctrine that depends on, or is contradicted by, a textual variant. In spite of the myriad of textual variants, we do in fact have a reliable text of Holy Scripture. Ironically, it is perhaps the text of the NT for which there is more attestation than any other document from the ancient Greek/Roman era. It would be dangerous to suggest that there is some vast distinction between the form of the text and the material brought forward by the text (forma and materia). So, while our confidence is in the material content of the texts we do have we can also be confidence that God in His providential care for His Church has allowed us to have, to this day, the form of the texts that he gave by plenary, verbal inspiration, inerrantly, to those penmen who were moved along by the Holy Spirit, writing the very God-breathed words that the Lord wants us to have and to know. Therefore the faithful can know that the text of the NT is not some sort of obscure, hidden text that finally can only be trusted to the extent that the latest and greatest version of a critical edition like the NA makes available every few decades. Thanks for the comment. This essay, and the comment by Rev. McCain, was cross-posted on concordiatheology.org, though the comment has slight variations. I’m not sure which version of the comment was the “original text” and which was the copy, so I’ll leave the same reply on each site. 1) When I’ve given presentations on the text of the NT to lay audiences, which I’ve done on many occasions, I find that they do not need things “simplified”; they are well aware of the issues and appreciate careful presentations that are honest with the challenges and realities of the history of the text. In fact, I use virtually the same presentation for a lay audience that I do for pastors. So, indeed, we do not wish to cause any doubt. But I’ve found that the best way to avoid causing doubt is to be as thorough and clear about the manuscript situation and the textual problems as possible. 2) The comment raises issues about how we express the authority of the Scriptures in light of the differences in the manuscripts. I hope that we as Lutherans can have some helpful conversations about the way that we express this (though I’d doubt that an internet forum is the best place for that to happen). I’m not entirely convinced that using Aristotelian and Thomistic categories of “Material” and “Formal” are helpful; these categories are not used in the early fathers when discussing the authority of the text, nor are the found in the Reformation period or in the Lutheran Confessions. I suspect that we’ll be better served if we reinvestigate the way that our early fathers viewed the authority of the text, because they were dealing with a similar phenomenon of text that we now have: Rather than the seemingly fixed, immutable, printed text known to the post-Reformation and Modernist church, we today have a transient transmission of the text, much like the Reformation and early church had. In any case, I was hoping to elicit conversation, and thank you for offering your thoughts. I hope the discussion continues in a helpful manner. 3) I understand why you introduce language like this: “God in His providential care for His Church has allowed us to have, to this day, the form of the texts that he gave by plenary, verbal inspiration, inerrantly, to those penmen who were moved along by the Holy Spirit.” However, this is precisely the question: Which of the thousands of manuscripts, printed editions, translations, etc. carries, precisely, the plenary, verbally inspired, inerrant text? Does the authority of the Scriptures rest solely on having possession of such a text? And, are these the only alternatives available to us: 1) “we have the absolutely perfect wording of the text as left by the penmen” or b) “we have nothing”? I think those are false alternatives, and neither alternative accurately or faithfully addresses the situation of the text. 4) Acts is antilegomena? Who’s smoking crack? The major point I was attempting to make is that while we definitely both can, and should, explain the fascinating subject of textual criticism to the laity, we must never leave them with the impression that we do not have a NT text that is uncertain due to the myriad of variants. And in so doing create the impression that finally we need to try to figure out what might be the closest to the original so that we can finally know what the NT is trying to teach. I do think it is critical to assert, from the very start, that there are no textual variants that alter any point of doctrine and that the text, in spite of variants, is more than adequate for establishing sedes doctrinae. We must take never to lapse back into creating a chasm between “the Word” and “the inscripturated Word.” Those were not good days for our church body. I say no more. And, I do think it is worth pointing out how NT text is perhaps the one text from antiquity for which we have the greatest manuscript attestation. And I would also respectfully disagree that we can not point out the providential care of God for His church in providing the text of the Bible that we do have and use today. And finally, I would encourage Dr. Kloha to reconsider the very useful distinction between materia and forma, used quite brilliantly by Lutheran Orthodox dogmaticians to set apart Lutheran Biblical interpretation from competing views, used to make clear that in whatever form the Word comes, as long as it is based on that authoritative text of the Sacred Scripture, it is delivering the “goods” whether it be in a sermon, hymn, etc. And of course, Dr. Kloha knows that I never suggested we have today a “perfect wording of the original text from the original penmen.” But, on the other hand, we do have a perfectly useful and adequate and certain text from which we do draw our doctrine. We never want to suggest in any way, shape or form, otherwise. I’m sure he would agree. Thanks for the thoughts, and the tone. Just one comment to the comment: We are trying to accomplish the same thing, that is, to allow the Scriptures to do the work of the Spirit, without causing doubt and uncertainty. Whether we need to defend the Scriptures by articulating one specific way of defining that authority is where I think we differ. And, given recent history, by failing to provide our congregations with an adequate way of understanding the authority of the text in light of the uncertainty of the text and canon (Misquoting Jesus, Gospel of Judas, Davinci Code, etc. ), we have allowed uncertainty to creep in. This is where I’d like some conversation, where you say: “we must never leave them with the impression that we do not have a NT text that is uncertain due to the myriad of variants. And in so doing create the impression that finally we need to try to figure out what might be the closest to the original so that we can finally know what the NT is trying to teach.” It is the terminology that concerns me. The “text” is actually “uncertain.” That cannot be denied. Is it so uncertain that the voice of the Shepherd is lost? No, and this is where we might point out the ancient attestation of the text (though, of course, we all wish we had far more manuscripts from the earliest period). It is not a “clincher” argument, and, in its limited way, is helpful. But rather than talking generalities, a good “test case” is the ending of Mark. What do we do with that, and how does that reflect our view of the authority of the text? Luther used Mark 16:16 as a sedes doctrinae for Baptism in the Small Catechism. He did not, nor did anyone of his day, know of any manuscript or patristic evidence that would call that passage into question, nor that there were other “endings” to Mark. We now can be as confident as we can with any other major textual question that Mark 16:9-20 was not written by the same person who wrote what we now call Mark 16:9-20, nor for that matter di that person write the “Intermediate Ending” of Mark nor the various combinations and permutations of those endings (there are actually at least five different endings in the manuscript tradition). So, in this case, a sedes doctrinae is called into question by a textual problem. Now, other passages in Scripture teach that baptism works forgiveness of sins, rescues from death and the devil, and gives eternal salvation, so the teaching itself is Scriptural (indeed, there are passages that teach these things perhaps more clearly than does Mark 16:16), but should we use that passage (Mark 16:16) as a sedes doctrinae? I would suggest not, that we do in fact want to distinguish the words of God from the words of men if indeed those words have been added to the scriptural text. A parallel example is where Luther himself specifically rejected the use of the comma Johanneum as a sedes doctrinae in 1 John 5 because he did not think they were written by the Apostle, even though those words were common in Latin manuscripts and editions and in later printed editions of the Greek NT. He did not translate that text in either of his editions of the German Bible. So, I will respectfully disagree with the statement that it is *incorrect* to say that “we need to try to figure out what might be the closest to the original so that we can finally know what the NT is trying to teach.” If we believe in the authority of the Scriptures, I think that we are required to do exactly that. The church long before Lutheran Orthodoxy was able to hear the voice of the Shepherd in the Scriptures, even though they knew full well that their hand-made copies were different from one another. They certainly tried, to best of their skill and knowledge, to “figure out what might be closest to the original.” There are numerous discussions of specific textual problems in Tertullian, Origen, Eusebius, Jerome, Augustine, etc., etc. In fact, in Augustine’s De doctrina christiana, his hermeneutics treatise, he says specifically, “The first task of the interpreter is the correction of the copies, so that the uncorrected ones give way to the corrected ones.” It is not just modern-day critics who know that there is an uncertain text. And the early church and the Reformation was able to teach faithfully even though there was textual uncertainty. So, I do think that we might find helpful (better?) ways of describing the authority of the text in the Reformation and early church. Dr. Kloha, I too appreciate this conversation and welcome the chance to clarify. Perhaps you and I are using the word uncertain in a different way, in fact, I think I’m quite certain we are using uncertain differently. 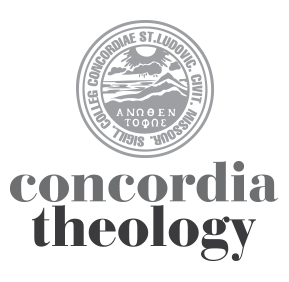 When I speak of certainty in this context, I’m speaking of certainty that the teaching of the New Testament, drawn from the very text itself, is not uncertain because of textual variants. That is, there is no doctrine from the NT that is cast into doubt because of the various variant readings, which are, as I’m sure you would agree, in the overwhelmingly vast majority of the cases, in fact, minor in a major way, if you will. You are coming at it, perhaps, if I’m understanding you correctly, from the position that in fact the study of textual variants does present us with changes in word order, or verbal forms, or things added, or things taken out, and so, in that sense, I can see how you are asserting that the text is uncertain. Even in the examples you cite, can we say that due to what is perhaps the most “notorious” textual variant (rare indeed, to be sure) that regardless of which ending is “most original” we have nowhere else in the NT which would establish the doctrine covered there? Or likewise in the other infamous example you cite, again, a rarity when viewing all the variants we are considering, changes or alters the doctrine of the Holy Trinity? I think not. That’s my point. So, perhaps we would each want to be establish precisely what is certain or uncertain about the text. In other words, perhaps I find manuscript differences in different historical transmission of Caesar’s commentary on the Gallic wars (Commentarii de Bello Gallico), and since I have no hope of ever having the actual autograph from the pen of Caesar himself, I have to rely on copies, which have differences. Is the text therefore “uncertain” in the sense that we can not be certain we know what Caesar would have had us know and understand from the text? No. Is it uncertain in the sense that we can not have in our hands a text that we can all agree is precisely what Caesar himself wrote? Certainly so. In other words, in spite of variants, is it no longer to be certain that Caesar did write that all of Gaul is divided into three parts? Did he say: Gallia est omnis divisa in partes tres or did he write Omnia Gallia in tres partes divisa est. Does that “textual variant” change anything that is asserted in that text? No, I do not think so. Similarly, that’s how I regard the study of textual variants in the New Testament. I hope that offers some clarification of what I’m trying to assert here, and thank you for giving me the opportunity to clarify my own thinking on these things. I’m looking forward to your further ruminations on this issue in your forthcoming articles on NA 28. Am I correct in thinking that you are now saying that inerrancy is not a property of the text, but of what the text teaches? I have not understood that this has been the position of our synod in recent years, but perhaps facts mandate that we move in this direction. At least, should we have a conversation, a long conversation, about this in our midst? Such a shift would have vast implications for us. A final thought, Dr. Kloha, and I certainly do not mean to drag this out any further, but here are some thoughts I’ve had whenever I again take up some study of textual criticism, which I personally find utterly fascinating, and I’m grateful for NA28. I’m glad someone investigates all of this but I cannot personally or professionally get stirred up about it. If one reads canonically—Scripture interprets Scripture—worry about the variants evaporates. If one reads like a splitter, then no text is safe. I am concerned that the way you frame these issues might come off as a sort of “splitter” modality, which I do not find is helpful. I guess I would ask whether any of this moves the Lutheran Church away from the ancient practice of Scripture interpreting Scripture. Do the variants observed make the canon less canonical for us? Do they change or alter any doctrine of the Church, which the Church must always draw from the text proper as the norma normans? Well, since you don’t get stirred up about textual criticism, Paul, I’ll get stirred up for you, so you don’t have to worry about it. We all bear our own, unique, burdens. I think we’ve clarified quite a bit here. We do need to make a distinction between “wording of the text” and “the dogma of the church” (to use Sasse’s preferred phrase). The creedal teaching transcends any single passage (and, as a result, any single textual problem). So, no, textual criticism does not affect, in a major way, any single “doctrine,” but it does affect which passages we use to teach those doctrines. Is that fair? It follows, then, that arguing that “the text is certain” and “doctrine is certain” are two different arguments, and each rests on different claims and evidence. Is that fair? I don’t know if it is what you refer to as “splitting” or not, but your example from Caesar is an example of a change that pretty much does not matter. The “meaning” is the same, though the “text” is different. But, I think we can agree that the ending of Mark, 1 John 5:7-8, and other less significant textual problems do, quite often, affect the exegesis of a passage, and as a result what we may teach from that passage (emphasis on “what we teach from that passage”; I did not say, as noted above “affect doctrine”). For example, in John 1:18 is Jesus the unique Son or the unique God? The difference between those two is a single word, but the exegesis of that passage, and hence the teaching drawn from it, will be different. But, whether or not Jesus is the Son of God does not rest on that textual decision. Is that fair? But, your previous comment (10:52am) sounds pretty much like what I would say, so its good that we’ve had a chance to clarify. I don’t want to throw textual criticism entirely under the bus, though. Take, for example, issues regarding the role of women in public worship. There is a significant textual variant at 1 Cor 14:34-35; another at Romans 16:7; another at Gal 3:28-29. All those are critical for discussion of this issue. So, I’ll keep working at this stuff, just in case . . . Thanks, Dr. Kloha, I certainly do not wish to give the impression I’m overly critical of textual criticism, but as Dirty Harry wisely pointed out “textual criticism has got to know its limitation” … at least that’s what I remember him saying, or something like it. Behind the fears (connected to the inherent uncertainty in determining exactly what verbally inspired texts are) is a very human and very dangerous desire for control and a hope for certainty apart from loving trust. Such a desire to be like God, knowing good and evil, well, you know what follows! Out here, outside the Garden, uncertainty like decay and death reigns. That doesn’t mean we throw up our hands and say, What’s the use? any more than the fact that the path from symbol to meaning is not one-dimensional makes us despair of interpreting a text. What it does mean is that we humbly accept our limitations while seeking better approximations. What it means is our arguments sound more like wooing. What it means is that we keep relying on the Holy Spirit to reveal the text and its meaning to us when and where He wills. My hope is built neither upon the skill of the textual critic nor upon the brilliance of the expositor, while I appreciate both. Yet I believe that I cannot, by my own reason or strength have certainty. That must be received as a gift. The conversation has helped me recall two questions I ask myself when studying the Gospels: 1) Do we believe Jesus because we are first convinced the Bible is true, or do we believe the Bible because we have first experienced Jesus’ love, for most of us first in our Baptism? That is, what is the center and the starting point? 2) How does Jesus handle the Holy Scriptures, in distinction from how others handled it? See, for example, his sermon in Nazareth. Jeff, you refer to certain software tools in the article. Are those tools readily available and what are the names of these software? Do they come with the texts or do researchers have to create those themselves?